A sun-drenched jewel on the edge of the Gulf of Mexico, Marco Island features 6 miles of beach and over 100 miles of waterways within its 14 square miles. This beautifully kept condo located at the Tradewinds is situated right on the lush and pristine beaches of Marco Island. Enjoy the serene views of the white sandy gulf from the comforts of your living and dining room, fully supplied kitchen, and bedroom. Large glass sliding doors in the living and dining room and bedroom provide access to the oversize 20 foot balcony where there are soothing breezes and views of the ocean and pool to enjoy. The moonlit evenings are truly a relaxing way to end your day. This nicely decorated and immaculate condo is on the sixth floor and has been recently updated with all new appliances, floors, furniture, paint, and offers all amenities- DVD, VCR, cable, a second TV in the bedroom. The bedroom also has a connecting bath and walk-in closet. The bath features a full-sized tub and shower and ceramic tile. For your convenience, there is internet access and a printer in this condo, a definite plus! Tradewinds also offers wi-fi in the social room, and library. Two washers and dryers are just a few feet away from your front door. 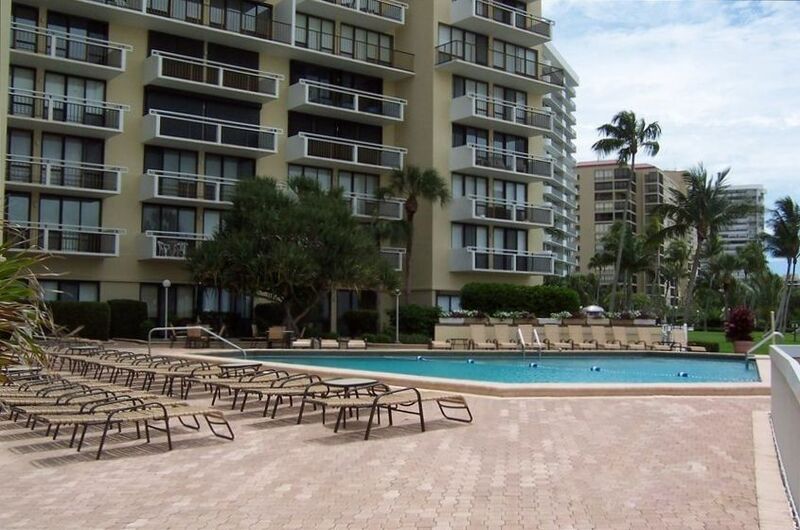 Tradewinds is one of the best maintained condo communities on Marco Island. The beautiful tropical landscaping, large heated pool, and lobby have been recently renovated. The lobby has a security door. Restrooms are available in the entrance right off the pool, so there's no need to run back to your unit! There is never a need to wait with three elevators, and bellhop carts are available for all your luggage, so you only need to make one trip! Within walking distance is a variety of restaurants and specialty shops, or take a walk along the beach to a restaurant or bar at a nearby hotel. Once you visit, you will find that this is truly a place you will want to return to time and time again! All new appliances, plus coffee pot, toaster. Newly renovated, maintained daily. Also has beach view, yet has privacy from the beach.